Change in life can be extremely difficult. Change challenges us because it conflicts with what we wanted, or planned, in the fabric of our lives. Some changes cause us to adapt or adjust in little ways; others alter the course of the rest of our days. Autism. Cancer. Chronic depression or pain. Mental and emotional disabilities. Loss of a limb or paralysis. Aging needs. Care-giving demands. Each of these—and more—affect the social, emotional, physical, and spiritual condition of everyone in the family. The grief is unsearchable, the losses are immeasurable, and the stress and loneliness are unknowable. The path of suffering often transforms people’s souls when they are supported by fellow Christians. Jesus touched those who were suffering, attended to the disfigured and discarded, cared for the rejected, and accepted the different. As followers of Christ, we long to imitate Him. Insight for Living desires to educate people about disabling conditions, to equip pastors, churches, and families with tools to serve those with special needs, and to offer encouragement and empowerment to those in need. What If You Struggle with a Permanent Disability? Paul called his disability “a thorn in my flesh” (2 Corinthians 12:7). The downside of this “thorn” was the awful torment it brought. The benefit was that it kept Paul from being self-sufficient. The pain he endured forced him away from self-serving pride and toward an all-important discovery: “When I am weak, then I am strong” (12:10). 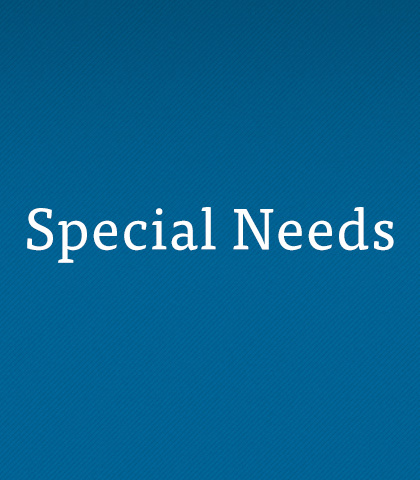 Every parent of a special needs child has more questions than answers. But our Heavenly Father understands and promises His presence. And there’s no question about that.